Samsung unveiled on Thursday its intention to bring its new tablet-PC for 2017 called Galaxy Tab A to the United States market, the new computer is the newest addition to the tablet family of the Galaxy brand, and the South Korean company explains that The new computer is designed to serve all members of the family, and will be available on the market starting in the month of November. 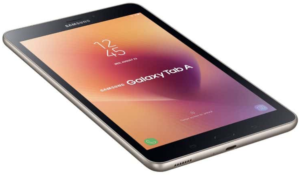 Samsung had announced the device for the first time in early September, and Galaxy Tab A has a stylish design with a metal frame and soft rounded edges and comfortable, long-lasting battery, and bright display screen provide good visibility in any light circumstance, with increased RAM and internal storage space Expandable, which provides an improved daily usage performance. The display screen comes with a measurement 8 inches with 1280 x 800 pixels, Enabling users to watch their favorite programs and play games and browse the Web Through the display screen that delivers good performance in bright sunlight, The optional Blue light filter screen is also owned to achieve the luminosity between brightness and reduction of eye strain, Making it easier to see the content at night and in low-light settings. 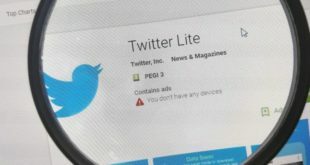 The new battery, which comes with a capacity of 5000 amp, allows the device to run for a long period of up to 14 hours, in order to watch movies, play games, write emails and everything the user wants, along with an internal storage space of up to 32GB scalable To be extensible, which means keeping more applications and content within the device. The computer includes child status, a mode that provides exciting games, videos and content suitable for children from Samsung Partners, including 5000 exclusive game and video clips from the LEGO group, customers will be able to access other options and download popular applications such as LEGO Batman: Beyond Gotham and LEGO Ninjago: Shadow of Ronin. The Galaxy Tab A provides entertainment for all family members, so that the owner of the device receives a free three-month subscription to the YouTube Red YouTube service at purchase, giving it an uninterrupted viewing experience free of commercials and advertisements, and the possibility of offline mode for viewing video and download it and access exclusive content such as original YouTube movies and red serials. The computer works by the Snapdragon 425 processor of Qualcomm, with 2GB of RAM, the Android OS version of 7.1.1 Nuga, and 8 megapixel rear camera with LED Flash, 5 megapixel front camera, Galaxy Tab A two different colors are black and silver, at a price of US $230. Pingback: Samsung launches 2017 version of its Tablet PC "Galaxy Tab"